The smartphone design patent dispute is back once again. A U.S. appeals court has reinstated a $119.6 million award for Apple in a long-running smartphone design patent dispute with rival Samsung. The U.S. Court of Appeals for the Federal Circuit ruled Friday that two Apple smartphone design patents, one related to a slide-to-unlock feature, are valid and Samsung infringed a third patent related to helping smartphone users find phone numbers. The case goes back five years, when Apple first filed a series of patent lawsuits against Samsung, alleging infringement of several Apple's iPhone design patents. In February, a panel of judges at the appeals court ruled against Apple, saying the slide-to-unlock patent and an Apple spell correction patent were invalid. The panel ruled that the third telephone-number pattern analysis patent wasn't infringed. But a full panel of judges overturned that decision. 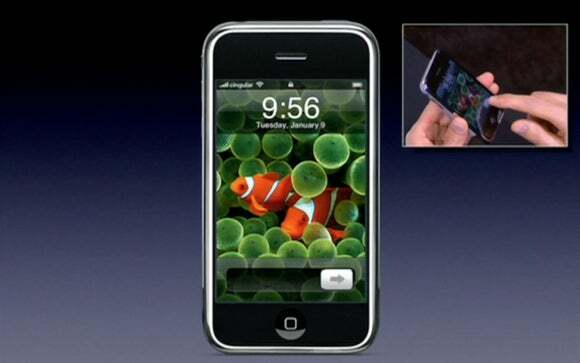 In the slide-to-unlock patent, Samsung "failed to establish by clear and convincing evidence" that Apple's claim related to an obvious invention that would not qualify for a patent, wrote Judge Kimberly Moore, for the 8-3 court majority. The patent lawsuits between the two companies have taken a number of twists and turns. In 2012, a U.S. district court ruled that Samsung owed Apple more than $1 billion in damages for infringement of design patents. The appeals court later cut the amount. Last December, Samsung agreed to pay Apple $548 million under some conditions. Neither company responded to a request for comments on the court ruling.